This exclusive technology has been developed by the TCX R&D dept. 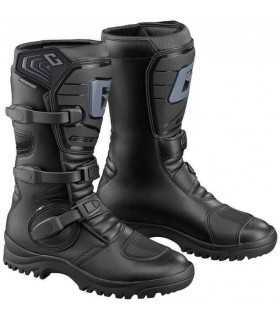 for motorcycle use in the warmest seasons. It combines an upper made from highly breathable, wear resistant CORDURA fabric with a felt layer and the GORE-TEX Extended Comfort Footwear membrane to offer a superior degree of breathability and absolute waterproofness. 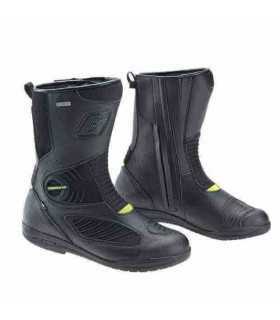 UPPER: micro fibre and breathable abrasion resistant CORDURA fabric with micro injected inserts. 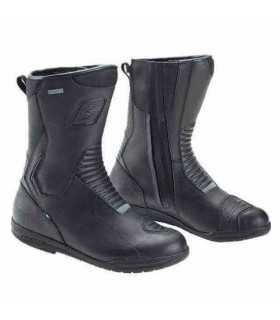 LINING: GORE-TEX Extended Comfort Footwear for an increased breathability. REINFORCEMENTS: malleolus, micro injected shift pad, shin plate, reinforced heel counter. CLOUSURE: elastic zip to allow an easier fastening + wide Velcro band. FOOT BEB: anatomic and replaceable. SOLE: touring sole with specific grip area.